New interactive views, tool integrations, statistics tools, and new layout editor for composite views of metanodes. 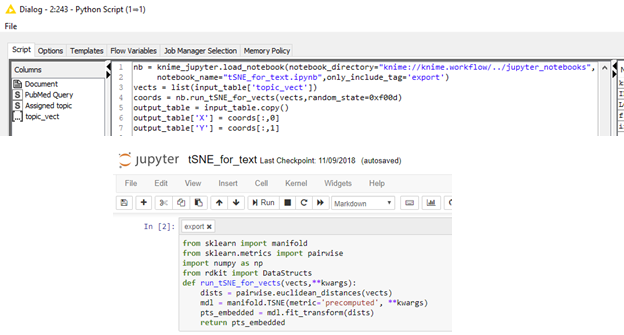 Import and run code from Jupyter notebooks; no longer need to copy/paste code between the notebook and KNIME. Add python to your big data workflows through the new PySpark integration. 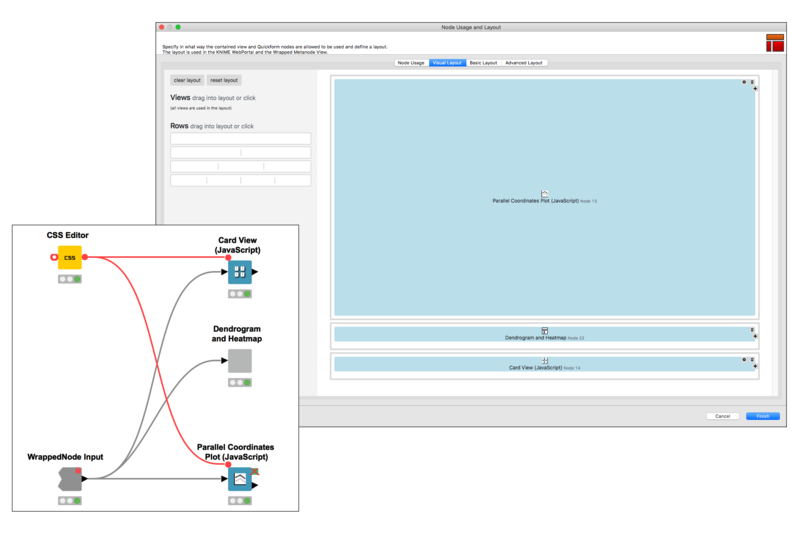 Seamlessly mix and match Python with existing nodes from KNIME Extension for Apache Spark. Construct complex views interactively with the new Layout Editor using a drag-and-drop interface. This means easier iterations between the data scientist and end user when creating applications. Give data scientists and subject matter experts the ability to do more interactions and spot more patterns in data with the new Heatmap View. Explore clusters interactively with a hierarchical cluster dendrogram. The Hierarchical Cluster Assigner allows the user to interactively set the threshold that makes it easier to determine the number of clusters. 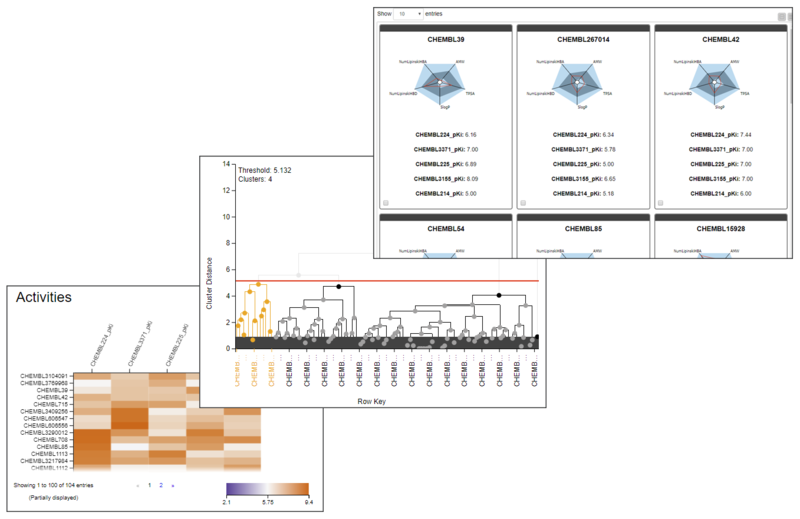 Visualize complex datasets including images or other graphics with the Tile View (in 3.7.0 this view is called "Card View" but due to a trademark clash it will be renamed to "Tile View" starting with 3.7.1). 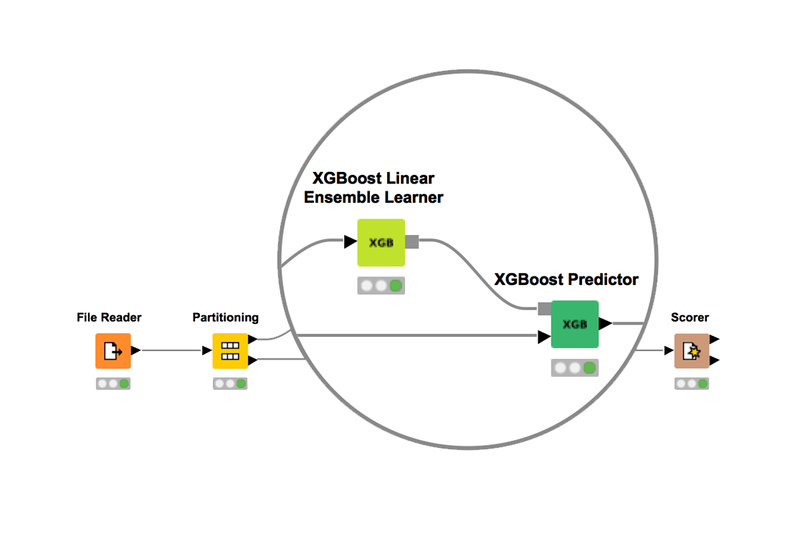 Use XGBoost’s Linear Ensemble or Tree Ensemble learners for either classification or regression tasks. Try out the new statistical testing nodes - Friedman Test, Kolmogorov-Smirnov Test, and Proportion Test. Make the most of Date and Time which is supported in the KNIME Tableau Integration. Write Hyper files or send them directly to a Tableau server. 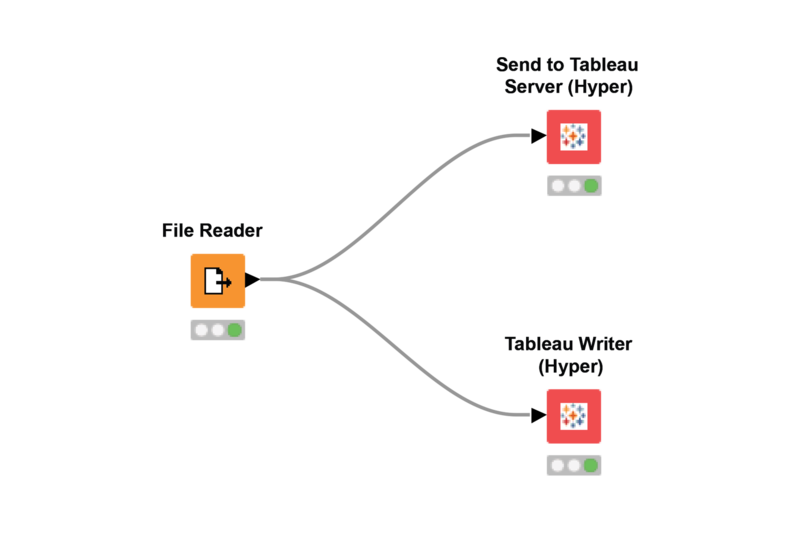 Work seamlessly with files stored in Google Drive in KNIME Analytics Platform.